In all gardens, fertilizing is important. Fertilizing a straw bale garden is also important and very easy to do. 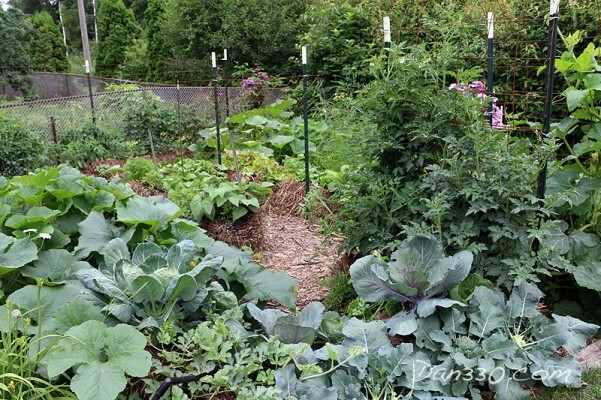 Today, I show you how to fertilize your straw bale garden. This is part of a series on straw bale gardening. We are following Joel Karsten’s book Straw Bale Gardening. We are trying our very first straw bale garden and letting you know how it goes. Fertilizing a straw bale garden. Joel gives very specific fertilizing instructions when we are conditioning our bales. I want to be very clear we are not conditioning bales anymore. That part is done in the beginning. Now, our plants are planted and growing. It has been between 4 and 5 weeks since the plants have been in the bales. 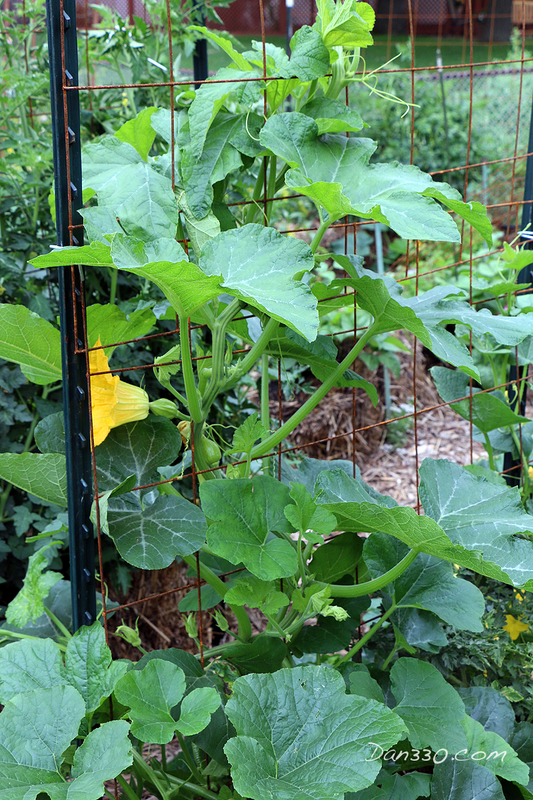 Joel recommends that the garden is fertilized about one time per month with a balanced 10-10-10 fertilizer. In this video below, I show you how easily that is done. Hi, this is Chris from LiveDan330.com. We are continuing our series on straw bale gardening. I want to show you … this is the progress we made. We planted most of these plants between four and five weeks ago. They are doing incredibly well. Um, it has been a month so it’s time to fertilize again. We are going to use a balanced 10-10-10 fertilizer and it’s just really simple. Take a cup and kind of spread it out on here and ah, let that stuff get absorbed into the bales and we are going to repeat that as necessary. I am going to come in with the hose and spray it in a little bit just to kind of work it into the bales but that is all we have to do. So each month we are going to repeat. Fertilize with a 10-10-10 until we are done. You can see for yourself just how easy the maintenance is on these gardens. They are growing beautifully, and are already producing food for us to eat. The job of fertilizing is as easy as sprinkling some fertilizer on a few times over the summer.